Ericsson’s life-work little foreseen in his youth and early surroundings. His impress on the engineering practice of his time. forces and energies of the world. Life-periods in Sweden, England, and the United States. Birth, parentage, and early engineering career. An officer in the Swedish army, and topographical surveyor for his native government. Astonishing insight into mechanical and scientific questions. His work, 1827 to 1839, when he came to the United States. “A spendthrift in invention;” versatility and daring. The screw-propeller vs. the paddle-wheel for marine propulsion. Designs and constructs the steam-frigate “Princeton” and the hot-air ship “Ericsson”. The Civil War and his services in the art of naval construction. His new model of a floating battery and warship, “The Monitor”. The battle between it and the “Merrimac” a turning-point in naval aspect of the war. “The Destroyer,” built in connection with Mr. Delamater. Improves the character and reduces friction in the use of heavy ordnance. Work on the improvement of steam-engines for warships. Death, and international honors paid at his funeral. His work in improving the motive-power of ships. Special contributions to the art of naval war. Ships of low freeboard equipped with revolving turrets. Influence of his work lives in the modern battleship. Other features of work which he did for his age. Essentially a designer rather than a constructing engineer. The exact combination of inspiration, heredity, and environment which serves to produce genius will perhaps ever be a problem beyond the skill of human intelligence. When the rare elements do combine, however, the result is always worthy of most careful study, both because great achievements furnish a healthy stimulus to emulation, and because some glimpse may be gained of Nature’s working in the formation of her rarest products. Few lives better illustrate these remarks than that of John Ericsson. Born of middle-class parentage and with no apparent source of heredity from which to draw the stores of genius which he displayed throughout his life, and with surroundings in boyhood but little calculated to awaken and inspire the life-work which later made him famous, from this beginning and with these early surroundings John Ericsson became unquestionably the greatest of the engineers of the age in which he lived and of the century which witnessed such mighty advances along all engineering lines. The imprint left by Ericsson’s life on the engineering practice of his age was deep and lasting, and if one may dare look into the future, the day is far removed when engineers will have passed beyond their dependence on his life and labors. It is perhaps not amiss that, before looking more closely at the achievements of Ericsson’s life and activity, note should be taken of the large dependence of our present civilization and mode of life on the engineer and his work. In different ages of the world’s history each has received its name, appropriate or fanciful as the case may have been. For the modern age no name is perhaps more adequately descriptive than the “Age of Energy,” the age in which our entire fabric of civilization rests upon the utilization of the energies of nature for the needs of humanity, and to an extent little appreciated by those who have not considered the matter from this point of view. If we consider the various elements which enter into our modern civilization,–the items which enter into the daily life of the average man or woman; the items which we have come to consider as necessities and those which we may consider as luxuries; the items which go to make up our needs as expressed in terms of shelter, food, intercommunication between man and his fellow, and pleasure,–the most casual consideration of such will serve to show distributed throughout almost the entire fabric of our civilization dependence at some point on the power of the steam-engine, the water-wheel, or windmill, the subtle electric current, or the heat-energy of coal, petroleum oil, or natural gas. The harnessing and efficient utilization of these great natural energies is the direct function of the engineer, or more especially of the dynamic engineer, and in this noble guild of workers, Ericsson carved for himself an enduring place and left behind a record which should serve as an inspiration to all who are following the same pathway in later years. No one feature perhaps better differentiates our modern civilization from that of earlier times, four hundred years ago, or even one hundred, than that of intercommunication between man and his fellow. Compare the opportunities for such intercommunication in the present with those in the time of Queen Elizabeth, Sir Isaac Newton, George Washington, or Napoleon I. We now have our steamships, steam and electric railroads, cable, telegraph, and telephone. A few years ago not a single one was known. The modern age is one which demands the utmost in the possibility of communication between man and his kind, and in this respect the wide world is now smaller than the confines of an English county a century ago. In this field, as we shall see, Ericsson did some of his greatest work, and left perhaps his most permanent record for the future. Ericsson’s life falls most naturally into three periods chronologically or geographically, and likewise into three periods professionally, though the latter mode of subdivision has by no means the same boundaries as the former. The first mode of subdivision gives us the life in Sweden, the life in England, and the life in the United States. The second mode gives us the life of struggle and obscurity, the life of struggle, achievement, and recognition, and the calmer and easier life of declining years with recognition, reward, and the assurance of a life’s work well done. John Ericsson was born in the province of Vermland, Sweden, in 1803. His father was Olof Ericsson, a mine owner and inspector who was well educated after the standard of his times, having graduated at the college in Karlstad, the principal town of the province. His mother was Britta Sophia Yngstrom, a woman of Flemish-Scotch descent, and to whom Ericsson seems to have owed many of his stronger characteristics. Three children were born: Caroline in 1800, Nils in 1802, and John in 1803. Of John’s earliest boyhood we have but slight record, but there seems to have been a clear foreshadowing of his future genius. He was considered the wonder of the neighborhood, and busied himself day after day with the machinery of the mines, drawing the form on paper with his rude tools or making models with bits of wood and cord, and endeavoring thus to trace the mystery of its operation. In 1811 the Ericsson family fell upon evil times. Due to a war with Russia, business became disturbed and in the end Olof Ericsson became financially ruined. This brought the little family face to face with the realities of life, and we soon after find the father occupying a position as inspector on the Göta Canal, a project which was just then occupying serious attention after having been neglected for nearly one hundred years, and nearly three hundred years after it was first proposed in 1526. Through this connection, in 1815, John and Nils Ericsson were appointed as cadets in a corps of Mechanical Engineers to be employed in carrying out the Government’s plans with reference to the canal. During the winter of 1816-17 and at the age of thirteen, John Ericsson received regular instruction from some of his officers in Algebra, Chemistry, Field Drawing, and Geometry, and the English language. Ericsson’s education previous to this seems to have consisted chiefly in lessons at home or from tutors, after the manner of the time. He had thus received instruction in the ordinary branches and in drawing and some chemistry. His training in drawing seems to have been unusually thorough and comprehensive, and with a natural genius for such work, his later remarkable skill at the drawing board is doubtless in no small measure due to the excellent instruction which he received in his early years. His progress in his duties as a young engineer was rapid, and he was soon given employment in connection with the canal-work, involving much responsibility and calling for experience and skill. At length on reaching the age of seventeen he became stirred with military ambition, and, dissatisfied with his present prospects, he left his position with its opportunities for the future, and entered the Swedish army as ensign of a regiment of Field Chasseurs. This regiment was famous for its rifle practice, and Ericsson was soon one of its most expert marksmen. The routine of army life was, however, far from being sufficient to satisfy the uneasy genius of John Ericsson, and we soon find him engaged in topographical surveying for the Government, and so rapid and industrious in his work that as the surveyors were paid in accordance with the amount accomplished, he was carried on the pay rolls as two men, and paid as such, in order that the amount which he received might not seem too excessive for one individual. Even this was not sufficient to exhaust his energy, and about this time he conceived the idea of publishing a book of plates descriptive of the machinery commonly employed in the mining operations of his day. To this end he collected a large number of sketches which he had prepared in his earlier years, and made arrangements to take up the work of preparation for publication. The drawings selected were to be engraved for the book, and, nothing daunted by the undertaking, Ericsson proposed to do this work himself. After some discouragement the engraving was undertaken, and eighteen copper plates of the sixty-five selected, averaging in size fifteen by twenty inches, were completed within a year. In various ways the project met with delays, and it soon became apparent that the rapid advance in the applications of machinery to mining would render the work out of date, and it was at length abandoned. At about this time Ericsson seems to have taken up seriously his work on his so-called “flame-engine,” certain experiments made by his father having suggested to him the hope that a source of power might in this way be developed which would be more economical than the steam-engine. At this point we see entering into Ericsson’s life an idea which never left him, which controlled much of his work in mid-life, and which attracted no small part of his attention throughout his closing years. This idea was the discovery of some form of heat-engine which should be more economical than the steam-engine, especially as it was in his day. The flame-engine idea grew rapidly, and soon absorbed his chief attention. Military life now lost its attraction, and in 1826 obtaining leave of absence he left his native land and turned his face toward London, doubtless with the hope strong within him that a substitute for the steam-engine had been found, and that his future lay secure and easy before him. The characteristic features of Ericsson’s life up to this time, when he had reached his twenty-third year, are energy, industry, independence, all in most pronounced degree, and combined with a most astonishing insight into mechanical and scientific questions. It was not a period of achievement, but one of formation and of development in those qualities which were soon to make him famous in both worlds. Of his work during this period of life little or nothing outside the idea embodied in the flame-engine can be said to belong to the permanent record of his life’s achievement. This appeared in the “Caloric” engine, and still later in the well-known Ericsson “Air” engine of the present day. This era was one of development and promise, and richly were the promises fulfilled in the achievements of his later years. A careful study of his life to this point is sufficient to show that, with health and time, such a nature would certainly leave a mark wide and deep on the world in which it was placed. His characteristics were such that achievement was the very essence of life, and, with the promise and potency as revealed in this first twenty-three years of his life, we may be well prepared for the brilliant record of the remaining sixty-three. With Ericsson’s arrival in London began the second important period of his life. His first efforts were directed toward the introduction of the flame-engine, but he soon found unexpected difficulties in the use of coal as fuel instead of wood, and it became clear that in order to live he must turn his attention to other matters for a time. Then followed a series of remarkable pieces of work in which Ericsson’s genius showed itself, either in original invention or in the adaptation and improvement of the existing facts and material of engineering practice. While thus occupied, his leave from his regiment expired, and he seems to have overlooked taking proper steps to have it renewed. He was thus placed technically in the attitude of a deserter. Through the intervention of a friend, however, he was soon afterward restored, and promoted to the rank of Captain in the Swedish Army. This commission he immediately resigned, and thus his record became technically cleared of all reproach. To give a mere list of the work with which Ericsson was occupied during the years from 1827 to 1839, when he removed to the United States, would be no small task, and reference to the more important only can be here made. Compressed air for transmitting power, forced draft for boilers by means of centrifugal blowers, steam boilers of new and improved types, the surface condenser for marine engines, the location of the engines of a ship for war purposes below the water line, the steam fire-engine, the design and construction of the “Novelty” (a locomotive for the Rainhill contest in 1829, when Stephenson’s “Rocket” was awarded the prize, though Ericsson, heavily handicapped in time and by lack of a track on which to adjust and perfect the “Novelty,” achieved a result apparently in many ways superior to Stephenson’s with the “Rocket”), various designs for rotary engines, an apparatus for making salt from brine, further experimental work with various forms of heat, or so-called “caloric” engines, and the final development, in 1833, of a type from which great results were for a time expected, superheated steam and engines for its use, a deep-sea-sounding apparatus embodying the same principle as that later developed by Lord Kelvin in the well-known apparatus of the present day, a machine for cutting files automatically, various types of steam-engines, and finally his work in connection with the introduction of the screw-propeller as a means of propulsion for steam vessels. These are some of the important lines of work on which Ericsson was engaged during the twelve years of his life in London. 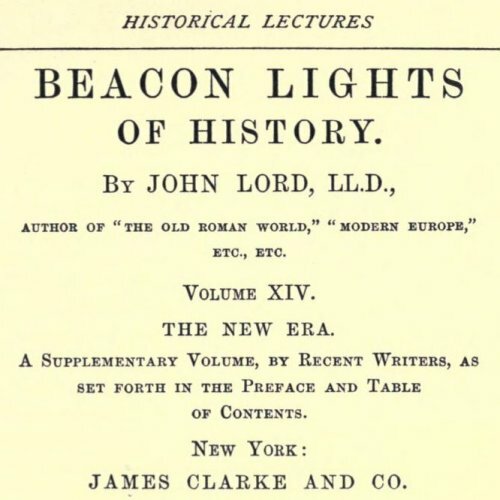 In connection with some he was undoubtedly a pioneer, and deserves credit as an original inventor; in connection with others, his work was that of improvement or adaptation; but in all his influence was profound, and the legacy which we have received from this period of engineering progress is due in no small degree to Ericsson, and to his work in London during these years. At a later point we shall refer in some further detail to these questions, but desire for the moment, rather, to gain a broad and comprehensive view of his life as a whole. Ericsson has been by some called a spendthrift in invention, and the term is not without some justice in its application. His genius was uneasy, and his mind was oppressed by the wealth of his ideas. It was this very wealth which led him from one idea to another, without always taking sufficient time in which to develop and perfect his plans. Rich in invention, he cared but little for exploitation, and when the truth of his predictions was demonstrated, or the ground of his expectation justified, he was eager for new achievements and new combinations of the materials of engineering progress. In this spirit of struggle and unrest, he passed the years in London, rapidly becoming known for his versatility in invention, and for his daring and originality in the details of his engineering work. From 1833 to 1839, or during the second half of this term of residence in London, he became in increasing measure absorbed in his work connected with the screw-propeller as a means of marine propulsion. Ericsson’s name in the popular mind has been most commonly associated with the “Monitor” and her fight with the “Merrimac” in the Civil War, and next, probably, with the screw-propeller as a means of marine propulsion. It will, therefore, be proper at the present point to refer in some further detail to the circumstances connected with his relation to the introduction of the screw-propeller. Regarding this question an entire volume might be written without doing more than justice to the subject, but only a brief statement of the chief facts can be here attempted. As early as the Seventeenth Century the possibility of developing a propulsive thrust by the use of a submerged helicoidal, or screw, propeller, had been vaguely recognized, and during the following, or Eighteenth Century, the same idea had been brought forward. It had been viewed in this connection, however, merely as a curiosity, and led to no immediate results. Later, in 1804, Francis B. Stevens, of New Jersey, in an experimental boat on the Hudson, operated twin screws, and demonstrated their applicability to the requirements of marine practice. These propellers, in fact, had a form far more nearly approaching the modern screw-propeller than did those which came somewhat later, and which marked the real entry of the screw-propeller into actual and practical service. Again, in 1812, Ressel, a student in the University of Vienna, began to study the screw-propeller, and his first drawing dates from this time. In 1826 he carried on experiments in a barge driven by hand, and in 1827 an Austrian patent was granted him. Two years later he applied his screw to a boat with an engine of six horse-power, and a speed of six miles per hour was said to have been attained. Then came a bursting steam-pipe, and the police put a stop to the experiments, which seem to have had no further results. Likewise in 1823 Captain Delisle, of the French Engineers, presented a memorial to his Government in which he urged the use of the submerged propeller for the propulsion of steam vessels. No especial attention was given to the suggestion, however, and it was apparently forgotten until later, when the propeller had become a demonstrated success. Then this memorial was remembered, and its author brought forward to receive his share of credit in connection with the adaptation of the propeller to marine propulsion. These various attempts to introduce the screw-propeller seem curiously enough to have had no lasting result. They were not followed up, and in the mean time had to some extent passed out of memory, or, if remembered, the absence of result can hardly have acted as an incentive to fresh effort. At the same time it must be admitted that the screw-propeller as a possibility for marine propulsion was known in a vague way to the engineering practice of the day, and it is at this time of course quite impossible to say how much may have been known by Ericsson, Smith, or others concerned in later developments, or to what extent they may have been dependent for suggestion on what had preceded them. The question of who invented the screw-propeller in the absolute sense is entirely futile and without answer. No one could ever have reasonably advanced any such unique claim. At the best it is simply a question of the relative influence in the introduction, improvement, and practical application of what was the common property of the engineering practice of the day. At about this same time, or in 1835, the attention of Mr. F.P. Smith seems to have been drawn to the subject of the screw-propeller, and we find him taking out a patent for his form, consisting of an elongated helix or spiral of several turns, under date of May 31, 1836. Ericsson’s patent followed some six weeks later, or on July 13, 1836. While it thus appears that Ericsson had been studying the problem since 1833 or earlier, according to his own statements, there is no evidence that Smith’s attention was drawn to the matter earlier than 1835. Delay on Ericsson’s part in the matter of patent gives the earlier date to Smith. The mere date of a patent, however, is of small moment for our present purposes. It must be admitted that the modern form of screw-propeller is quite unlike either of these original forms, although they all involve of course the same fundamental principles. Ericsson’s propeller may properly be called an engineering success, built on sound principles, but improved and largely modified by the results of later experience and research. Smith’s propeller, while capable of propelling a boat, was the design of an amateur rather than of an engineer, and in comparison with Ericsson’s seemed to show a somewhat less accurate appreciation of the underlying principles upon which the propeller operates. In the present case, as we have noted above, the question is not so much one of invention as of influence in introduction, adaptation, and improvement. The screw-propeller was already known, but had not been introduced into and made a part of actual engineering practice. Services in this direction are all that can be claimed for any of those concerned with the question during the third decade of the Nineteenth Century. From this point of view we must give to Ericsson large credit. He had the courage of his convictions, and did not allow his work in this direction to lapse for lack of effort on his part to secure its introduction into the practice of the day. Thus, in 1837, the “Francis B. Ogden” was built for the special purpose of testing the power of the screw-propeller, and was operated on the Thames for the benefit of the British Admiralty and many others. Shortly after this, and largely through the influence of Capt. Robert F. Stockton of the American Navy and Francis B. Ogden, the American Consul at Liverpool, Ericsson began to consider a visit to the United States for the purpose of building, under Stockton’s auspices, a vessel for the United States Navy. While these negotiations were under way, in 1838, he built for Captain Stockton a screw-steamer named the “Robert F. Stockton,” the trials of which attracted much attention from the public at large and from engineers of the time. At about the same period Ericsson’s propeller was fitted to a canal-boat called the “Novelty,” plying between Manchester and London. This was presumably the first instance of a screw-propeller employed on a vessel actually used for commercial purposes. Finally, in pursuance of Ericsson’s plans with Captain Stockton, he left England Nov. 1, 1839, and started for New York in the steamer “Great Western,” where he arrived November 23, after a long and stormy passage. We now reach the final scene of Ericsson’s life and professional activities. His visit was at first intended only as temporary, and he seems to have anticipated an early return after carrying out his plans with reference to a ship for the United States Navy. To quote from a letter to his friend, Mr. John O. Sargent, he says: “I visited this country at Mr. Ogden’s most earnest solicitations to introduce my propeller on the canals and inland waters of the United States. I had at the same time strong reasons for supposing that Stockton would be able to start the ‘big frigate’ for which I had prepared such laborious plans in England.” The event was otherwise determined, however, and during the remaining fifty years of his life he lived and wrought in the New World, and as a citizen of his adopted country. If the record of his twelve years of work in London was long, that for the remaining and maturer years of his life may well be imagined as vastly greater. During the earlier part of this period, or until the Civil War, when all his energies were concentrated upon his work in connection with the “Monitor” type of warship, we find the same wealth of invention and human energy, but for the most part directed along lines related to marine and naval construction. It was a period of training for the fuller fruitage of his genius during the Civil War. Shortly after his arrival, or in 1840, a prize was offered by the Mechanics’ Institute of New York for the best plan of a steam fire-engine. With his previous experience in London, Ericsson easily carried off the palm and was awarded the prize. He further occupied himself with the introduction of propellers on boats engaged in the inland navigation of the United States, with the design and construction of the United States steam frigate “Princeton,” with the development of the compound principle in the steam-engine, then in 1851 with his hot-air ship “Ericsson,” or ship propelled by hot-air or caloric engines, as they were then termed, and later with caloric engines in smaller sizes for stationary purposes, of which several thousand were sold during the next succeeding years. In the work of introducing his propellers good progress was made, especially in boats built for use on the Great Lakes, so that by 1844, when the U.S.S. “Princeton” went into commission, there were in use some twenty-five vessels with the screw-propeller as a means of propulsion. The project of building a vessel for the American Navy, the purpose which had most strongly attracted Ericsson to the United States, suffered long delay in connection with the arrangements between Captain Stockton and the naval authorities at Washington. At length, in 1841, Captain Stockton was authorized to proceed with the construction of a screw steam frigate of about one thousand tons. This was the U.S.S. “Princeton,” which marks an epoch as the first screw vessel-of-war. She was followed by the French “Pomone” in 1843, and the English “Amphion” in 1844, for the equipment of which Ericsson’s agent in England, Count Von Rosen, received commissions from the French and English governments respectively. The “Princeton” was completed in due time and was equipped with two 12-inch wrought-iron guns, one brought by Ericsson from England and one designed and built under the direction of Captain Stockton. At the trials of the ship in 1844 the latter gun exploded, killing the Secretaries of State and of the Navy, besides other prominent visitors on board, and wounding several others. This terrible disaster threw an entirely undeserved stigma upon the ship herself and upon Ericsson’s work, and it was not until many years after that his name was entirely free from some kind of reproach in connection with the “Princeton” and the deplorable results of the accident on board. These are some of the principal lines of work with which Ericsson occupied himself during the twenty-two years between 1839 and 1861. At the latter date came the supreme opportunity of his life, and his services in the art of naval construction during the remainder of the Civil War, which was then in progress, are a part of the history of that great struggle. Here, as with the propeller, volumes might be written in the attempt to give a full account of the inception, growth, and final vindication of Ericsson’s ideas regarding naval offence and defence, as expressed by the means available in the engineering practice of the day. The leading points only can be summarized. The question of armored ships was in the air. The advantages of armor had been already demonstrated on the French ship “Gloire” and others in connection with the naval part of the Crimean War, and there was a feeling that ironclads of some kind were a necessity of the situation. These facts were perhaps more clearly realized at the South than at the North; and early in 1861 we find Mr. Stephen R. Mallory, the Confederate Secretary of the Navy, taking active steps to raise the “Merrimac,” which had been sunken at the Norfolk Navy Yard, and convert her into an armor-clad. 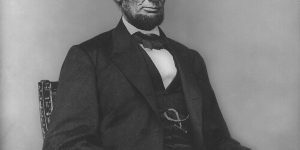 Information regarding this project naturally became known to the Federal authorities, and occasioned President Lincoln and the entire Cabinet the most serious anxiety. At length on August 3, 1861, the appointment of a Board was authorized, the duty of which it should be to examine into the question fully, obtain plans, and recommend the construction of such armor-clads as they should judge best suited to the demands of the situation. Shortly after this, Ericsson forwarded to President Lincoln a communication in which he offered to construct a vessel “for the destruction of the Rebel fleet at Norfolk and for scouring the Southern rivers and inlets of all craft protected by Rebel batteries.” For one reason or another this communication does not seem to have produced any immediate result. Later, however, when the Board made its report dated September 16, they registered the opinion that the present demand called for “vessels invulnerable to shot, of light draft of water, before going into a more perfect system of large iron-clad seagoing vessels of war.” In pursuance of this idea they recommended the construction of three vessels,–Ericsson’s floating battery, a broadside vessel later known as the “Ironsides,” and the “Galena.” Mr. C.S. Bushnell, who was instrumental in bringing Ericsson’s plans actually before the Board, later associated with himself and Ericsson in the project two gentlemen of means, and large manufacturers of iron plate, Mr. John A. Griswold and Mr. John F. Winslow, who advanced most of the money needed, Mr. Bushnell supplying the remainder. The keel was laid Oct. 25, 1861, and the “Monitor,” as she was named by Ericsson, was launched Jan. 30, 1862, and was turned over to the Government Feb. 19, 1862. This brief record of construction leaves untold all history of the ceaseless struggle against time and of the superb organization and distribution of the work which made possible the completion of such a piece of work in the period of one hundred working days. One important fact which goes far to explain this astonishing speed in design and construction is found in the fact that Ericsson was not dealing with an entirely new and freshly developed proposition. He has stated that the thought of a floating battery, which should be small in size, but impregnable to the heaviest guns known and yet heavily armed herself, had long occupied his thoughts in connection with the problem of the defence of Sweden. Ericsson never forgot his native land, and gave to her political troubles and to the question of her defence against her more powerful neighbors much serious thought. As a result of this study, he had produced as early as 1854 a design embodying all the essential features of the “Monitor,” and this design, shown by a model, was in that year sent to Napoleon III., who was then at war with Russia. This was in the hope that he might in this way contribute to the overthrow of the latter, the hereditary enemy of his native land. The design, however, was not adopted, and after it was returned was laid aside to collect the dust of his office, until the experiences of the Civil War brought it again to the light. The plan in all its main features had therefore long been matured, and it only remained to proceed rapidly with the details and with the realization of the idea in the most suitable materials to be obtained. If the result of this battle between the “Monitor” and the “Merrimac” marked a turning-point in the naval aspect of the Civil War, it wrought a no less marked change in the standing and fortunes of her designer. Some of his engineering efforts had not met with the success for which he or his friends had hoped. The engines of the air-ship, while a success as a piece of mechanism, were so enormous and heavy that she had to be considered as a commercial failure, and the venture was not repeated; the deplorable accident on the “Princeton” was by some held to be in part chargeable to Ericsson, though a later and full knowledge of the circumstances shows that such was in no wise the case. Again, Ericsson, as an experimenter and pioneer, was by some considered as a dreamer, and before the “Monitor” was completed there was no lack of croakers who prophesied failure or who openly ridiculed the idea. This condition was of course natural. In many ways Ericsson was ahead of his age; and, again, it must not be supposed that he avoided mistakes or that all of his work fully realized the expectations which were based upon it. Furthermore, Ericsson’s spirit was proud, and he was little disposed to accept criticism from those whom he felt to be unqualified to pass adequate judgment on his work, while he was especially impatient under the system by which government work was done. He was therefore but little disposed to pleasantly submit to the exasperating delays and interferences with his work which arose from the methods of doing public business, and it is no more than the simple truth to say that during the preceding years the relations between Ericsson and the officials of the Navy Department had often become seriously strained, and they were seldom in cordial accord regarding the various questions which arose in connection with his public work. With the demonstration made by the “Monitor,” however, the attitude of the public changed in a moment, and Ericsson was hailed on every hand as a public benefactor. He received the thanks of Congress on March 28, 1862, and of the Legislature of the State of New York a little later. 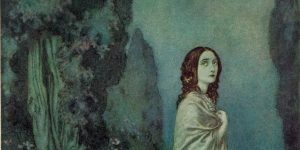 Besides these, he was the recipient of numbers of memorials and mementoes, and of such praise in every form as might well have disturbed the equilibrium of a mind less well balanced. In all this change of public opinion, the one thing which must have given him the deepest satisfaction was the change in the attitude of the naval authorities at Washington. He was now considered as one whose ideas had demonstrated their right to serious and respectful attention, and a large fleet of vessels of the monitor type was ordered, similar to but larger than the prototype, and containing such minor changes as experience had suggested. Yet even this was not accomplished without objection. The officers of the navy were accustomed to the old type of wooden ship, and were slow to realize that naval war was, after all, an engineering problem, and that the ideas of the engineer must now be substituted for those which had been sanctified by long ages of past experience. Still, the demonstration was too convincing to admit of serious question, and Ericsson and his associates in business were busily occupied during the remainder of the war in the design and construction of a numerous fleet of vessels of the monitor type. Ericsson’s work during this period was enormous. One design followed another in quick succession, while work of supervision and inspection and cares of a business nature all combined to make a burden which would have broken down a nature less determined and self-centred, and a body less inured to physical endurance and sustained nervous tension. This prodigious load was not so much but that he found time to devote to the needs of other nations, and in 1862 he offered to construct for the Chilian government a monitor similar to those under construction for the United States, while later a similar offer was made to the Peruvian Government. With the close of the Civil War Ericsson found still further time to devote to the introduction of this type of vessel into foreign navies, and a considerable part of his time seems to have been occupied with projects of this character, and more particularly with the question of the naval defence of his native land. As regards the introduction of warships of the monitor type, the results were not so pronounced as might have been expected, and while the influence of the idea is seen in the practice of every maritime nation in regard to the construction of its warships, still, for the most part, the leading nations preferred to make application of the idea in their own way rather than order such vessels direct from their original designer. Yet in not a few cases the original type was faithfully copied, though it is not always clear to what extent Ericsson himself may have had direct contact with their designs. In 1866 the Swedes were able to test the first of a small fleet of monitors built after Ericsson’s plans. This was called the “John Ericsson,” and was armed with two 15-inch guns presented to Sweden by Ericsson himself. Later, in 1868, he designed for Spain and superintended the construction of thirty small gunboats for use in Cuban waters. For nearly ten years now Ericsson had devoted most of his energies to the art of war. It was a time of change and unrest. Heavy guns and armor had brought about a complete break with the past. The torpedo, which had made its appearance in crude form during the Civil War, was attracting more and more attention, and questions of naval offence and defence and of the best governmental policy were attracting the serious attention of all whose duty led them into relation with such matters. Into this problem in its broadest aspects Ericsson threw himself in the early ‘seventies with all the ardor of his younger days. It is proper to explain here that there was one feature of the earlier plans which were submitted to Napoleon III. in 1854, which he did not embody in the “Monitor,” and which, indeed, was omitted from all published plans and descriptions of the system given out in former years. This was a system of submarine or subaqueous attack, which, he states in a letter to John Bourne, had attracted his attention since 1826. The time now seemed ripe for the presentation and development of this idea, and he accordingly developed his designs for a torpedo, and for a method of firing it under water from a gun carried in the bow of a boat, and suitably opening to allow the discharge of the torpedo projectile. This was Ericsson’s so-called “Destroyer” system, and was embodied finally in a boat called the “Destroyer,” which he built in company with his friend, Mr. C.H. Delamater, and with which he carried on numerous experiments. In the end, however, the system did not commend itself to the naval authorities, and the “Destroyer” was left on her designer’s hands, an instance of difference of opinion between Ericsson and those charged with the duty of naval administration, and with no supreme test of war to provide opportunity for the determination as to which were the more correct in their judgment. With the “Destroyer,” and his work in connection with her, closes the record of Ericsson’s connection with the advance in naval construction. During these later years of his life it must not be supposed that he was less busily occupied than in earlier life. His was a nature which knew no rest, and to the last day of his life he was literally in the harness. Only brief mention however can be made of some of the more important lines of work which interested the closing years of Ericsson’s life. In connection with his naval designs, he devoted much study to the improvement of heavy ordnance, both as to the gun and its mounting. In particular, his mounting of the guns in the “Monitor” was quite original, and the friction arrangement for absorbing the recoil was a great improvement over methods then in use, and served as a model for many copies and adaptations of the same principles in later years by other designers. In 1863 he also designed and built for the acceptance of the Government a forged 13-inch wrought-iron gun. While his design was an advance on those of the day, the demands on the makers of iron forgings were more than could be successfully met, and the gun developed some slight cracks in the test, which prevented further developments on this line. Ericsson always maintained that the tests to which this gun was submitted were unfairly severe, and he showed how the defects could be remedied by a steel lining. But the Naval Bureau of Ordnance insisted that this should be done at his own expense, and as he had already lost some $20,000 on the gun, he was unwilling to proceed farther, and the matter was allowed to lapse. Throughout his entire career the improvement of the steam-engine occupied a large share of Ericsson’s attention, and in particular was this the case in connection with his naval designs. From the “Princeton,” in 1841, to the “Destroyer,” in 1878, there succeeded one long series of types and forms of steam-engine, each in his opinion the best adapted to the circumstances of the case. Naturally, opinions differ, and he was brought into competition with other able engineers, and his designs were often called into question or subjected to criticism. In 1863, in competition with Chief Engineer Isherwood of the navy, engines were designed for twin ships, the “Madawaska,” afterward known as the “Tennessee,” and the “Wampanoag,” afterward called the “Florida.” This was a battle royal of types and modes of application of the power of the steam-engine to the propulsion of ships. The result was a victory for Isherwood, although the “Madawaska,” which was first subjected to trial, made a speed higher than any warship at that time afloat. This was exceeded by the “Wampanoag” a short time later; but neither engine was of an enduring type, and after a time the machinery of the “Madawaska” was removed, and she was repowered with a later type of machinery, and long did service as the “Tennessee” in the list of wooden frigates of the navy. The “Florida” was too expensive to maintain in commission, and the special circumstances which had called her into existence having passed by, she was laid up at New London, and never again saw active service. Keenly as Ericsson was interested in the steam-engine, it must be admitted that he always showed a more profound interest in some form of engine which should be able to displace it with a superior efficiency; and hence his long series of efforts relating to the flame-engine, the caloric engine, the gas-engine, and finally the solar engine,–with either steam or heated air as the medium for carrying the heat. During the last years of his life some of his most patient and careful study was given to the perfection of a solar engine, or engine for utilizing directly the heat of the sun instead of that of coal or other carbon compounds. Besides this direct line of study and experimentation, he gave during these years much thought to various scientific problems connected with solar energy, the tides, gravitation, the nature of heat, etc., etc. A plan for deriving power direct from the tides, improvements in high-speed engines for electric-lighting purposes, further improvements in his hot-air engine in small sizes for commercial purposes,–these are some of the further lines of work which occupied the attention of his closing years. But the most cunningly devised of all mechanisms, the heart and brain, must sooner or later tire and cease from their labors. The motive energy becomes exhausted, and the mechanism must cease its work. So it was with John Ericsson. In the first hour of the morning of March 8, 1889, Ericsson died. This was within one day of the twenty-seventh anniversary of the battle at Hampton Roads, the event with which the name of Ericsson will always be associated, and which has given to it a significance that will never be forgotten. His remains were first interred in New York, and then, in 1890, in accordance with the request of the Swedish Government, they were returned with impressive services to his native land, where they now rest. In his death he received his highest honors, for his remains were conveyed across the Atlantic by the U.S.S. “Baltimore,” one of the new ships of the navy specially detailed for that service, and on both sides, in the United States and in Sweden, the event was marked with every honor and ceremony which could indicate the significance of his life and services for his adopted land and for the world at large. The two pieces of work which perhaps will be most permanently linked with the name of Ericsson are the screw-propeller as a means of marine propulsion, and the “Monitor” as a type of warship. In addition to these, however, his life-work was rich in results which bore direct relation to many other improvements in the broad field of marine engineering and naval architecture. Of these a few of the more important may be mentioned, such as the surface condenser, distiller, and evaporator, forced draft for combustion, placing machinery of warships below the water-line, and their protection by coal, ventilation by fan-blowers, together with a vast variety of items involved in the conception and design of the “Monitor” as a whole, and in his other naval designs. In order to appreciate the influence of Ericsson’s life and work on the field of marine construction, a brief glance may profitably be taken at this branch of engineering work as it was before Ericsson’s time, and as it is now. The material employed for shipbuilding was almost entirely wood. This was displaced in the ‘sixties and ‘seventies by iron, which in turn was displaced by steel, so that at the present time, except for special reason, no material other than steel is thought of for this purpose. With the gradual displacement of wood by iron in the mercantile marine, Ericsson’s relation was only indirect. Some of the earlier mercantile vessels in which he was interested were of wood and some of iron. In the field of warship construction, however, his influence through the “Monitor” was more direct, especially as to the value of metal armor as a protection against great gun-fire. Still, it is no more than justice to say that with the change from wood to iron which took place during the active part of his life, Ericsson had only an indirect relation, and the change would doubtless have come about at the same time, and in much the same general way as it did, independent of any influence which his work may have had upon the question. Turning to the means of propulsion, we find sails as the main, or almost only, reliance during the early years of the century. The steam-engine operating paddle-wheels had come to be recognized as a possibility, and under certain conditions as a commercial success. The screw-propeller as a means of propulsion was known only as a freak idea, and was without status or recognition as a commercial or practical means for propelling ships. So far as the screw-propeller was thought of as a means of propulsion, it lay under a suspicion of loss of efficiency due to the oblique nature of its action, and this was supposed to be such as to render it necessarily and essentially less efficient than the paddle-wheel. Ericsson lived to see the use of sails almost entirely discarded for war purposes, and for mercantile purposes relegated to ships for special service and of continually decreasing importance. He lived to see the steam-engine take its place as the only means for supplying the power required to propel warships, and attain a position of almost equal relative importance in the mercantile marine. He lived to see the paddle-wheel grow in importance and estimation as a means of propulsion only in turn to be supplanted by the screw-propeller, which gradually increased in engineering favor from the days of its obscure infancy until it became the only means employed for the propulsion of ships navigating the high seas, while it had become a most serious rival to the paddle-wheel even for the purposes of interior and shallow-water navigation,–long a field considered as peculiarly suited to the paddle-wheel and to the engines adapted to its operation. Regarding the change from wind to steam for the motive-power of ships, Ericsson did his full share among the engineers of his day, but it would be unfair to many others to claim for him any exclusive or preponderating influence in this movement, and in such matters it is difficult to clearly define the services of any one man. The lines of progress, however, have been in accord with his studies, and his work has certainly had a most direct and powerful influence upon the movement. The most important points of contact between Ericsson’s work and these advances were in connection with his introduction of the surface condenser, the use of artificial draft, devices for heating feed water, his studies in superheated steam and its use, and his work in connection with the development of the compound principle in steam-engines, his relation to the introduction of the screw-propeller, and to the use of twin screws at a later time. He also devised and adapted many new types of engines for marine purposes, having respect to the geometrical character of the connections by means of which a reciprocating motion of the piston may be transformed into a rotary motion of the shaft. In particular, he was the first to introduce and show the advantages of engines directly connected to the propeller-shaft, instead of through the more indirect and clumsy modes which others had previously thought necessary. Aside from his relation to the screw-propeller, perhaps no item of his work in connection with the steam-engine is of more importance than the surface condenser, with its variant forms in the distiller and evaporator. If Ericsson had done nothing else, his claims to recognition and remembrance as an engineer and benefactor might have been well founded on his work in this connection. As it is, the fact that he was so largely instrumental in their perfection and adaptation to marine uses is wellnigh forgotten in the brighter light of his other achievements. Regarding Ericsson’s relation to the successful introduction of the screw-propeller, little need be added to what has already been said. Whatever may be urged regarding dates and patents or earlier years in which the screw-propeller was used, it is a fact that in 1833-35 it was not recognized as an accepted mode of propulsion. While known as a possibility, it had no standing in the engineering practice of the day. A few years later it was recognized as an accepted mode of propulsion and had gained a permanent and definite place in the practice of the day,–a place which has continued to grow in importance until its earlier rival, the paddle-wheel, is almost on the brink of relegation to museums of antiquities, except possibly for rare and special shallow-water uses. A careful and dispassionate study of the facts, so far as they can be known at the present time, seems to indicate clearly that of those who were concerned in successfully adapting the screw-propeller to the needs of marine propulsion and in laying the foundation for these changed conditions, especially in the United States, none was so prominent as Ericsson, or so fairly deserving of the chief credit; and with this judgment the mature thought of the present day seems to agree with little dissent. Turning to a consideration from a similar point of view of Ericsson’s services in connection with warship design and construction, note may be first taken of the condition of the art of naval warfare in the years 1840-50, or when Ericsson first began his labors in this field. The material used was wood, the means of propulsion sails, with some thought of steam-engines and paddle-wheels; the means of offence were cast-iron guns large in number but small in size, the largest being 9 or 11 inches in diameter and throwing a shell of some 75 or 130 pounds weight, while the means of defence consisted solely in the “wooden walls,” and modern ideas regarding armor had not even appeared above the horizon. Ericsson’s contributions to the art of naval warfare are embodied in the “Princeton,” the “Monitor” and its class, and the “Destroyer.” In the “Princeton” the material used was wood, and in the “Monitor” and “Destroyer” iron, following simply the developments of the age. In the three the means of propulsion was by screw-propeller. In the “Princeton” the means of offence were two 12-inch wrought-iron guns, as already noted. In the “Monitor” and its type the means of offence were two 11-inch smooth-bore cast-iron guns, followed later by larger guns of 13 and 15 inches of similar type. In the double-turreted monitors four such guns were of course installed. In the “Destroyer” the means of offence was a single gun for discharging a torpedo under water at the bow. On the “Princeton” the means of defence consisted still in wooden walls, while in the “Monitor” and its class the change was profound and complete. The essential idea of the “Monitor” was low freeboard and thus small exposed surface to the ship herself, combined with the mounting of guns in circular revolving turrets, thus giving an all-around fire and on the whole making possible an adequate protection of the exposed parts of the ship and providing for the combination in maximum proportions of armored protection and heavy guns for offence. On the “Destroyer” the means of defence consisted simply in a light deflecting deck armor forward, the vessel being intended to fight bows on and depending on her means of offence rather than defence, which were made quite secondary in character. The “Monitor,” however, was Ericsson’s great contribution to the art of naval war, and with it his name will always be associated. It broke with the past in every way. It reduced the number of guns from many to few, two or at most four; it reduced the freeboard from the lofty topsides of the old ship-of-the-line to an insignificant two or three feet, and thus made of the target a circular fort and a low-lying strip of armor. It placed the guns in this circular fort and covered it with armor thick enough to insure safety against any guns then afloat, and thus, as perfectly as the engineering means of the day would permit, insured the combination of offensive and defensive features in maximum degree. It cleared away at one stroke masts, sails, and all the lofty top-hamper which since time immemorial had seemed as much an essential feature of the fighting ship as the guns themselves. It transformed the design of the fighting ship from the older ideals expressed in the American frigate “Constitution,” or the English “Victory,” to the simplest terms of offence, defence, and steam motive-power. It made of the man-of-war a machine rather than a ship, an engine of destruction to be operated by engineers rather than by officers of the ancient and traditional type. There is small wonder that in all quarters the idea of ships of this type was not received with enthusiasm. The break with the past was too definite and complete. The monitor type represented simply the solution of the problem of naval warfare worked out by a man untrammelled by the traditions of the past and determined only on reducing such a ship to the simplest terms of offence and defence as expressed by the engineering materials and possibilities of the day. Judged from this standpoint, the vessel seems beyond criticism. She filled perfectly the ideal set before himself by her designer, and represents as a complete and harmonious whole what must still be recognized as the most perfect solution of the problem in terms of the possibilities of those days. It is proper here that due reference should be made to the claims in behalf of Mr. Theodore R. Timby as an inventor of the turret and of the monitor idea as expressed thereby. These claims and the main facts in the case have long been known, and there should certainly be no attempt to take from any one his due share in the developments which gave to our nation a “Monitor” in her hour of need. It is well known that Mr. Timby between 1840 and 1850 conceived the idea of a revolving fort of iron mounted with numerous guns and intended to take the place of the masonry or earth-structures in common use for such purposes. He seems also to have conceived of a similar structure for use on a ship of low freeboard, and a model showing such a design was constructed. In 1843 he filed a caveat for the invention of the revolving turret. Here the matter apparently rested until 1862, and after the battle between the “Monitor” and “Merrimac,” when he took out a patent which was dated July 8, 1862, covering “a revolving tower for defensive and offensive warfare, whether on land or water.” Ericsson’s associates in the business of building monitors for the Government acquired these patents of Timby, presumably as shrewd business men, in order to quiet any claim on his part, and to have the plan available for land forts, should the opportunity arise to push the business in this direction. There is no question but that Ericsson was antedated by Timby in the suggestion of a revolving turret, at least in so far as public notice is concerned. Ericsson frankly admitted this, and stated that he made no claim to absolute originality in this respect. He further stated what is undoubtedly true, that the main idea in the turret, that of a circular revolving fort, antedates the Nineteenth Century as a whole, and its origin is lost in the uncertainties of early tradition. It is simply one of those early ideas which naturally must have been known in essence since time immemorial, and as such it was the common property of the engineering practice of the century. It belongs neither to Timby nor to Ericsson, and no claims regarding priority in this respect are worthy of serious consideration. The question is not who first conceived the idea of a revolving fort, but who designed and built the “Monitor” as she was, and as she met the “Merrimac” on the 9th of March, 1862. The answer to the latter is too well known a part of the history of the times to admit of question or to call for further notice. Ericsson’s claim for recognition in this respect rests not on any priority of idea regarding the use of a circular fort, but rather upon the actual “Monitor” as she was built and as she crushed at one blow the sea-power of the South, and representing as it did a completely and carefully designed whole, dating back to the earlier dealings with Napoleon III. in 1854. This is an age which judges men by what they do, and judged by this standard Ericsson’s claims in connection with the monitor type of warship are never likely to be seriously questioned. Taking Ericsson’s life and work, what portion remains as a permanent acquisition or as a part of the practice of the present age? This is a question which merits at least a moment’s notice. We should not make the mistake of thinking that permanency is necessarily a test of merit, or that the value of his services to the world should be judged by such parts of his work as are plainly apparent in the practice of the present day. A piece of work must be judged by the circumstances which brought it forth, and by the completeness and perfection of its adaptation to the needs and possibilities of its age. We have then the steam fire-engine; compressed air which he early employed in England, and which has become an instrument of enormous importance in connection with the industrial progress of the age, although this is in no especial degree due to his efforts; the surface condenser, distiller, and evaporator are a permanently and absolutely essential part of modern marine practice; the screw-propeller has almost sole possession of the field of marine propulsion; modern marine engines and boilers in naval practice are always placed below the water-line and are protected by deflective deck armor and frequently by coal as well; the turret has become a permanent and accepted part of the practice of the age, while the monitor type in its essential feature seems to be evanescent. The modern battleship is a vastly more complex structure, and represents more complex ideas and combinations than did Ericsson’s “Monitor.” It contains a battery of guns of the heaviest type known to naval ordnance. At present such guns are usually of 12-inch bore and throw a shell of about 800 pounds weight, with an initial velocity of nearly 3,000 feet per second. Then there is a supporting battery of guns, 6, 7, or 8 inches in diameter of bore, and finally a secondary battery of smaller quick-firing guns, throwing shells of from 1 pound to 20 or 30 pounds weight, and added to these there may be a torpedo outfit as well. The exigencies of fighting ships at sea and in all weathers seems to have pronounced against the monitor type with its low freeboard as unsuitable for use on the open sea, while the enormous advances in modern guns and armor have made a totally different problem of the distribution of means offensive and defensive. Again, the monitor type was never intended for long cruising, or indeed for other service than the defence of coasts and harbors. The policy of building a vessel thus adapted only to an inner line of defence, and not adapted to an outer line of defence and offence as well, has been further called in question, and the judgment of the present day has decided against such policy. It is true that in the so-called “new navy,” begun in 1883, one monitor, the “Monterey,” has been built, while four others of older type have been somewhat modernized, and there are three monitors building at the present time. It may be doubted, however, if they will be followed by others, at least so long as the conditions of naval warfare and the spirit of public policy remain as they now are. The monitor type was a perfect solution of the problem of its day, and nobly it answered the calls made on it. The problem has now changed, the conditions affecting its solution have also changed, and it is no discredit to the original type that it now seems to have had its day, and that it must give way to other forms more perfectly expressing the spirit of the present age, and the means available for the solution of present-day problems in the art of naval war. In many ways, however, the influence of Ericsson’s work still lives in the modern battleship, and while in our modern designs we have gotten far away from the essential features of the monitor type, yet it is not too much to say that the germ of the modern battleship is in many ways found in the “Monitor,” especially as expressed in terms of concentration of heavy gun-fire and localized protection of gun positions; and in more ways than may be suspected, the influence of Ericsson and of his work had its part in the developments which have led to the splendid designs of the present day. Returning again to our note of the dependence of the present age on Ericsson, mention may be made of the blower for forcing the combustion in steam-boilers as a well-established feature of standard marine practice, and one absolutely essential to the development of the highest attainable speeds, such as are required in warships, and especially in those of the torpedo and modern “Destroyer” types. Likewise the use of the fan for ventilation, as used by him in his early practice, has become a necessity of modern conditions both on naval and passenger ships, for the health and comfort of both passengers and crew. His long series of experiments and his years of labor on air and other forms of “caloric” engine are only represented by the “Ericsson air-engine” now on the market, and having its fair share of service in locations where simplicity of operation and scarcity of water may naturally suggest its use. Of his labors in connection with a solar engine, and with other questions which occupied much of the time of his closing years, we have but little direct result. Others are at work on the idea of the solar engine, and it may be that a practicable solution of the problem will be found. Ericsson’s lasting imprint on engineering practice, curious as it may seem, was made in his earlier and middle life, rather than in his later years, and we have even more in the way of permanent acquisition from his earlier than from his middle years. This results from the fact that in middle life he was largely engaged on warship designs, admirably adapted to the needs of the time and to the possibilities of the age, but no longer suited to either, while in later life he no longer found it necessary to work at problems which would produce a direct financial return, and therefore interested himself in a variety of questions somewhat farther removed from the walks of every-day engineering practice than those with which he was occupied in earlier life. In personality Ericsson possessed the most pronounced and self-centred characteristics. Professionally he felt that to him had been granted a larger measure of insight than to others into the mysteries of nature as expressed in the laws of mechanics, and he was therefore little disposed to listen to the advice or criticism of those about him. This was undoubtedly one of Ericsson’s most pronounced professional faults. He did not realize that with all his insight into the laws of mechanics and all his capacity for applying these laws to the solution of the problems under consideration, he might well make some use of the work of his fellow-laborers in the same field. So little disposed was he to thus use the work of others that a given device or idea which had been in previous use was often rejected and search made for another, different and original, even though it might involve only some relatively trivial part of the work. He was simply unwilling to follow in the lead of others. He must lead or have none of it, and thus the fact that a device or expedient was in common use would furnish an argument against rather than for its adoption. His natural mode of work was utterly to disregard precedent and to seek for fundamental solutions of his problems, having only in view the conditions to be fulfilled, the laws of mechanics, and the engineering materials of construction. This habit of independence and of seclusion within the narrow circle of his own work so grew upon him in later years that mechanical science made many advances of which he took little or no note, and of which he refused to avail himself, even though he might have done so greatly to his own advantage. In his later years, in a letter to his friend Captain Adlersparre, he says: “Do not laugh at me now, Captain, when I say that nobody can mislead me. Do not condemn me if I at the same time confess that I am directed by nobody’s judgment but my own, and that I never consult anybody and take nobody’s advice.” In all matters connected with his work his will was imperious, and he would brook no interference or criticism. 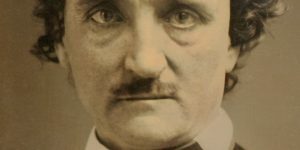 His temper was high, his organization sensitive, and many times throughout his life, relations with his best friends became strained by his instability of temper or impatience with what he might construe as a criticism regarding his work. With this instability of temper, however, was combined a deep-seated tenderness and kindness of heart, and he was as quick to forget the cause of offence as he was to manifest displeasure upon occasion. Notwithstanding the asperities of Ericsson’s character in regard to his professional work, and his entire lack of effort to make friends among the learned of his day, recognition and unsought honors came in upon him. He was elected to honorary membership in the societies of note in the United States and Sweden, and in addition to the thanks of Congress and of the Legislature of the State of New York, he received a resolution of thanks from the Swedish Riksdag, or Parliament, in 1865. In 1862 he was granted the rarely bestowed Rumford medal, and received at other times during his life medals, honors, and decorations such as have perhaps fallen to no other who has wrought in the same field of human effort. While recognition of this character pleased him greatly when it came spontaneously and willingly, he placed but little value on that which he thought grudgingly or tardily tendered, and in one or two instances refused membership in societies which he thought granted in that manner. A large measure of this independence of character is necessary to the performance of the work which Ericsson did. Had he been ever ready to listen to the views of others, and to modify his ideas in accordance with them, his greatest achievements would never have been accomplished. In Ericsson, however, this characteristic was carried to an undue extreme, and he might unquestionably have accomplished more had he been able to co-operate with others and to accept and use freely the best work of contemporaries in his own field. Ericsson was essentially a designing rather than a constructing engineer. His genius lay in new adaptations of the principles of mechanics or in new combinations of the elements of engineering practice in such way as to further the purposes in view. His mode of expression was the drawing-board. While he wrote vigorously and well, and while he was a frequent contributor in later years to scientific literature, especially on the subject of solar physics, yet his best and natural mode of expression was the graphical representation of his designs on the drawing-board. Forms and combinations took shape in his brain and were transferred to the drawing with marvellous speed and skill. Those who have been associated with him bear testimony that the amount of his work was simply astounding, and that only by a combination of the most remarkable celerity and industry could they have been accomplished. These drawings were furthermore so minute in detail and so accurate in dimension that as a rule he did not find it necessary to give further attention to the matter after it had left his hands. Of the many parts of a complicated mechanism, one could be sent for construction to one shop and another elsewhere, all ultimately coming together and making a harmonious and perfectly fitting whole. In no other way could such astonishing speed in the detailed construction of the “Monitor” and other vessels of her type possibly have been made; and the fact that such speed in construction was obtained, and largely in this manner, is by no means the least impressive of the many evidences of Ericsson’s genius as a designer. The designs once completed on the drawing-board, however, Ericsson’s interest in the work ceased in great measure, and as a rule he paid but little attention to constructive details, and took but slight interest in the completed whole. Thus he is said to have visited his “Destroyer” but once after she was built, and then simply in search of his assistant. He also declined an invitation from the Assistant Secretary of the Navy to visit Hampton Roads and inspect the “Monitor” immediately after her fight with the “Merrimac.” He seemed to have no curiosity to inspect his work after it had left his hands, or to receive a report as to the practical working of his designs. This shows a peculiar lack of appreciation of the value of intimate contact with constructive and operative engineering work. No one could hope to avoid errors, or to realize by drawing-board alone the best possible solution of engineering problems. Ericsson wilfully handicapped himself in this manner, and might unquestionably have more effectively improved and perfected his ideas had he been disposed to combine with his designs at the drawing-board practical contact with his work as constructed. His work was all done in his office at his house. For the last twenty-five years of his life he lived at 36 Beach Street, New York, where he wrought every day in the year, and often until far into the night. His office contained, beside his drawing-table and other furniture, a long table, on which at times, when overcome by fatigue, he would stretch himself and take a short nap, using a dictionary or low wooden box for a pillow. His relations with his native land were always close, and, as already hinted, he gave much of his best effort to the study of means for her defence. Toward his friends and relatives he was the embodiment of watchful care and generosity. His private benefactions were for his means large, and were given with a whole-hearted generosity which must have added much to the love and esteem in which the recipients regarded him. His public benefactions were also notable, and during the later years of his life he gave away regularly no inconsiderable share of his income. Though gifted with reasonable prudence, he had no conception of the “business sense,” and no capacity as a money-getter. After acquiring by his inventions and enterprise a modest competence, he devoted himself almost entirely to work less directly related to a financial return, and lived comfortably upon the principal which his earlier efforts had provided. Ericsson had absolute faith in himself and in his mission to render available the energies of nature for the uses of humanity and civilization. His character was framed about the central idea of fidelity to this mission. He was dogmatic and optimistic as regards his own work; he had a contemptuous indifference to the work of others, and a disregard of the help which he might derive from a closer study of such work. He trained himself, body, mind, and affections, solely with reference to his mission, and allowed no interference with it. He was the embodiment of physical and mental vigor, prodigious industry, continuity of purpose, indomitable courage, capacity for great concentration of mind, and oblivion to all distracting surroundings. With such characteristics, combined with the rare endowment of mental capacity and insight regarding the principles of engineering science, small wonder is it that his life was one so rich in results. It could not have been otherwise, and the results simply came as a consequence of the combination of the characteristics of the man and the surroundings in which he was placed. The question as to how much more or how much better he might have done had he possessed more faith in the work of others and a willingness to be guided in some measure by their experience is of course idle. Ericsson was a combination of certain capacities and characteristics; a combination of other capacities and characteristics would not have been Ericsson, and any discussion of such a supposition is therefore aside from the purpose of this sketch. 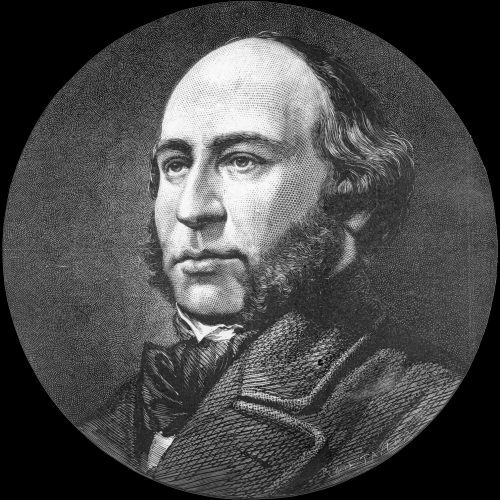 John Ericsson lived in a period of rapid engineering development and change. Old ideals were passing away, and the heritage which the Nineteenth Century was able to pass on to the Twentieth was in preparation. In this preparation Ericsson bore a large and most important part. So long as ships traverse the seas, Ericsson’s name will be remembered for his work in connection with the introduction of the screw-propeller. So long as the memory of naval warfare endures, Ericsson’s name will be remembered for the part which he bore in the transition from wood to iron, from unarmored ships to turrets and armor, from scattered to concentrated energy of gun-fire, and for his general share in the developments which have led to the ideal of a battleship prevailing at the opening of the Twentieth century. For these and for many other achievements he will be remembered, and his life and works should serve as a constant stimulus to those upon whom the engineering work of the present age has fallen, to see that with equal fidelity they live up to the possibilities of their endowments and opportunities, and serve with like fervency and zeal the needs of the age in which they are placed. Contributions to the Centennial Exhibition: Ericsson, John. The Life of John Ericsson: Church, W.C.
History of the Steam Engine: Thurston, R.H. Steam Navy of the United States: Bennett, Frank M.
Who invented the Screw Propeller? : Nicol, James. The Naval and Mail Steamers of the United States: Stuart, Charles B. A Chronological History of the Origin and Development of Steam Navigation: Preble, Rear Admiral G.H. A Treatise on the Screw Propeller, Screw Vessels, and Screw Engine as adapted for Purposes of Peace and War: Bourne, John.